I have always overlooked the fact that Malaysia is a small country so much so that the longest drive would take about 8 hours, barring the usual festive season traffic jam. This coupled with well-built roads and highway system make short road trips to seemingly far-flung places an attractive proposition. Over the weekend, my friend and me decided to take an old mountain back road from Hulu Langat, Selangor to the interior district of Jelebu, Negeri Sembilan. This route passes by a scenic dam, gorgeous valleys and a couple of recreational falls before exiting into two interesting forgotten towns that are unique on its own. Here’s a recap of our journey to the “other” Minang hinterland. After navigating through the winding roads to Cameron Highlands and Fraser’s Hill, surely there must be more mountain roads to explore. The 60 km stretch from Hulu Langat to Jelebu might not be the most challenging ride but it makes up with spectacular views and pleasant weather. The sight of the mountain range and valleys makes you want to stop and enjoy the view with a tumbler of coffee while the drive with the windows down lets you feel the pure breezy air, finally free from the choking smog of the city. At least hundreds of mountain bikers and Ultra-Marathoners on that day seem to agree with me. The first major sign of civilization we encountered upon descending the mountains is the cutely-named town of Titi. 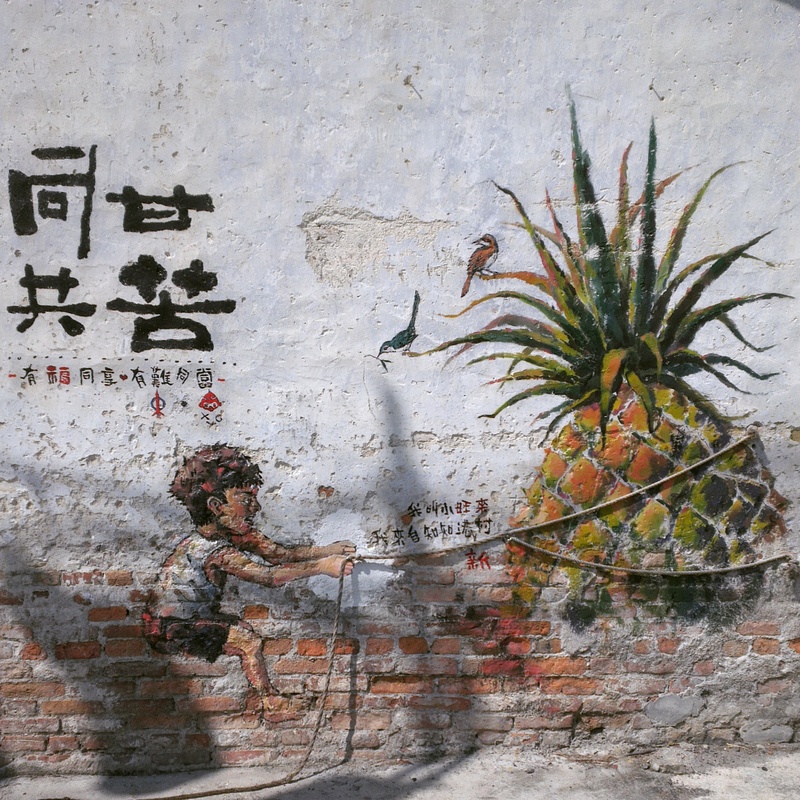 This predominantly Hakka enclave is like any other old Chinese towns in Malaysia where the main street is lined with rows of pre-War shop houses where the kopitiams are always packed with locals hanging out from breakfast to brunch. Red lanterns adorning the streets shows that the Chinese New Year vibe is still around while the well executed yet politically patronized street art (see gallery here) gives life and character to a town with a tumultuous past. My three-day trip to the Minangkabau heatland in January was part of the reason I embarked on this road trip to Jelebu. In the spirit of “merantau” (wandering), the Minang people left their homeland to open up new settlements across the Straits of Melaka at the start of the 15th century to what is now known as Negeri Sembilan. The main town of Kuala Klawang still preserves their cultural remnants like the iconic horned-roof found at the Jelebu District Administration Complex, Jelebu Clock Tower and a number of traditional Malay-Minang houses. 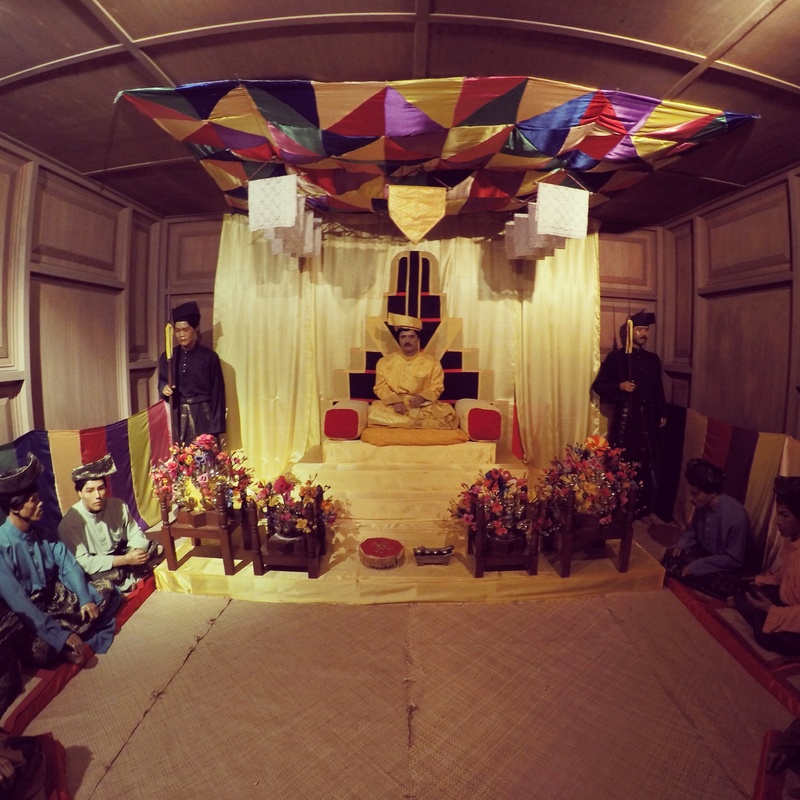 The four-story Muzium Adat has a comprehensive take on all the customs and traditions practiced by all major ethnic groups throughout Malaysia. It reaches to the extent on how adat is practiced in daily life and economic activities like “Melenggang Perut” for pregnant women and “Turun Perahu” for fishermen. The fourth floor is dedicated to the Minang legacy like the matrilineal law of Adat Perpatih where inheritance only goes to the women, governance and administration through Datuk Lembaga Berlapan and still used till today artifacts like the keris and tepak sireh. Kuala Klawang is a typical nowhere town where almost all shops close on weekends and locals tend to head to Seremban for a day out. Luckily for us, Restoran Fatimah was open for lunch and we had the chance to feast upon the fiery “masak lemak cili api” cooking, where meats are smoked before being thrown into a hot (chili) and creamy (coconut milk) stew. I had ikan sembilang (eel catfish) and pucuk ubi (cassava leaves) both masak lemak with a side of tempe (fermented soybean). You would know that it’s a good stew when it is deep yellow-green in color with a semi-thick texture. Yum. The mountain road to Jelebu (N32) can either be accessed via Ampang or Cheras. From Ampang, head towards Look Out Point and drive towards Batu 14 Hulu Langat. Take a right and immediate left before reaching a T-junction. Take a left passing by the dam and you’re set for Jelebu. From Batu 9 Cheras, make your way to Batu 14 Hulu Langat and take a right at the traffic lights in town. You’ll be on the same road that leads to the dam. 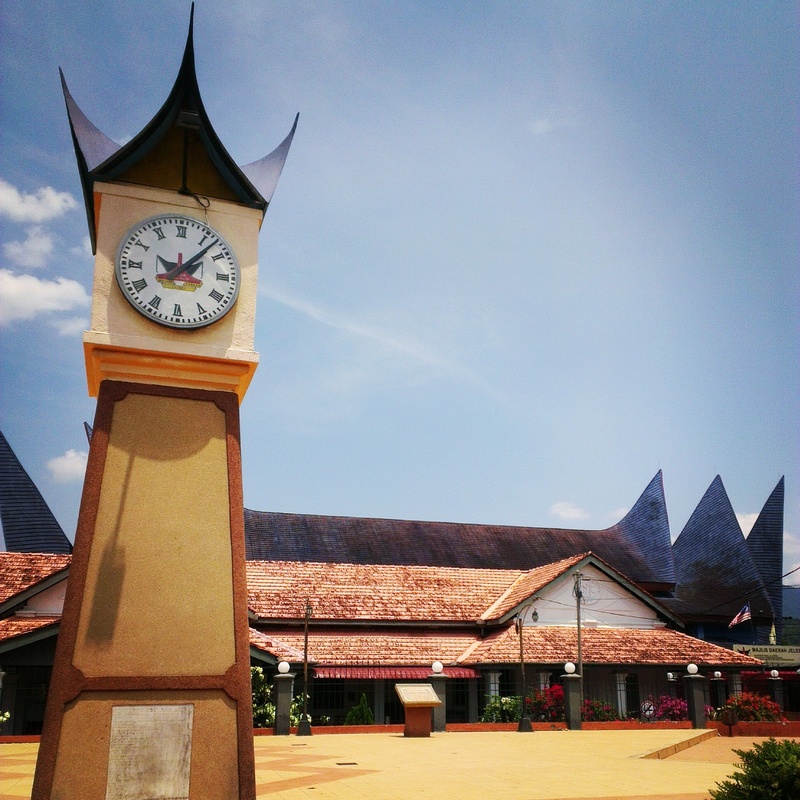 Muzium Adat is located by Dataran Jelebu near the clock tower. The museum is open daily from 9:00 am – 5:00 pm and only closed during the Hari Raya Aidilfitri and Hari Raya Aidiladha holidays. Entrance is free. Restoran Fatimah also sells one their popular local produce, Rendang Pucuk Ubi Mak Long Timah which is basically rendang made of cassava leaves added with either shrimp or anchovies. 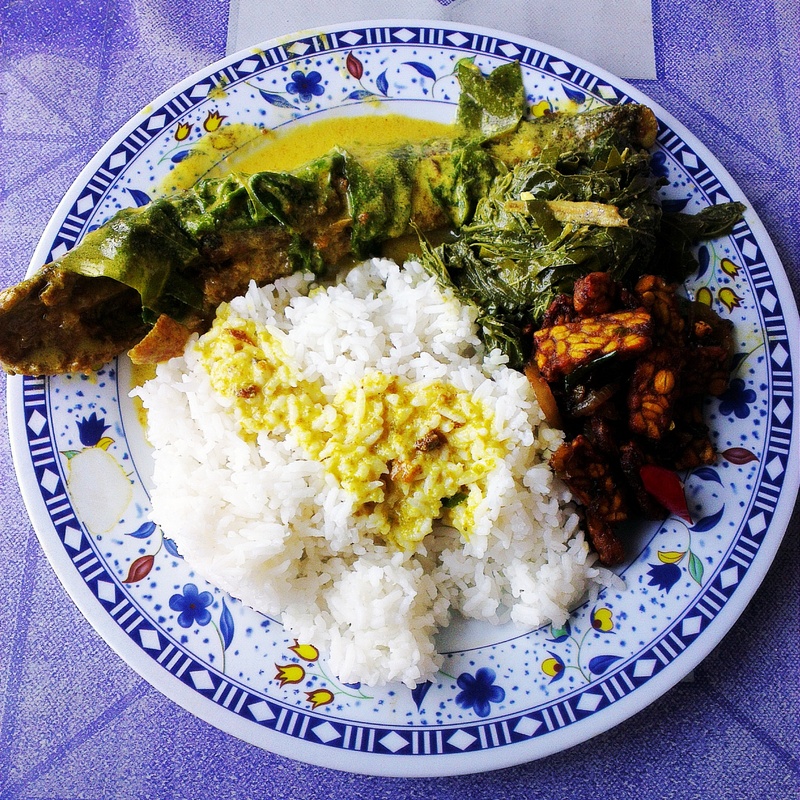 They also sell other variations like rendang pegaga (pennywort) which has medicinal properties. Jelebu ini jauh dari Kampong Nilai ke ? Lebih kurang 1 jam drive. Wow bila yg start buat niii..ni kak kirah yumi kazen balik pulau..i pun ada page jom ronda malaysia dgn bas kampung naik bas cover route bas semua..dah cover whole n9..went to kuala klawang n titi semua..food nothing much to offer kat situ..
Hi Kak Kirah! Menarik bas kampung ni, ada website atau blog ke? Betul lah Kuala Klawang ni tak banyak kedai makan sedap, better Kuala Pilah atau Rembau.